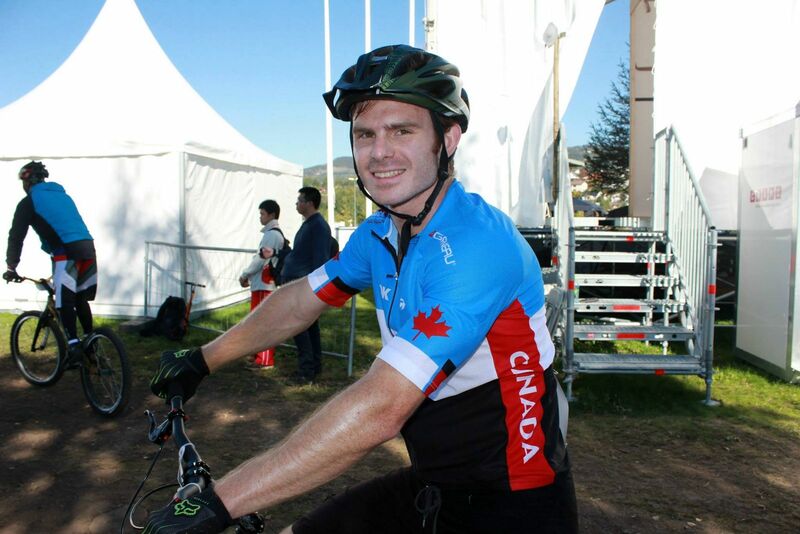 Interview de Jeff Anderson après sa saison UCI... Yess you can ! Interview with Jeff Anderson after his UCI season... Yess you can ! You have probably already seen one of his videos on the Internet, riding the streets of Vancouver in Canada. Or maybe you have seen him on the last UCI World Cup, pushing hard to make as many clean sections as possible, with a clean and efficient riding. Jeff Anderson is one of the best riders in Canada and during this season he also showed evidence he’s one of the top riders in the world. Last summer he was in Europe for the World Cup and the World Championships. He finished 17th of the World Cup and 16th of the Worlds. A great achievement by this 27 year old coming from the other side of the world to live his passion and face the strongest in the discipline. This deserved to be taken forward on Tribal Zine and so have we brought to you this nice video of the talented pilot, training on his favourite spots : Training avec le Canadien Jeff Anderson ! Now let’s get to know Jeff better. 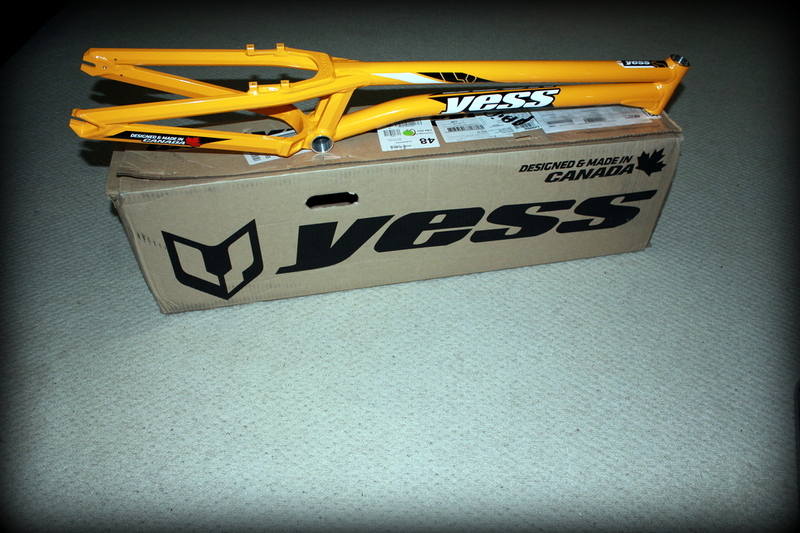 Jeff rides on a Yess Bike, designed and hand built in Canada. 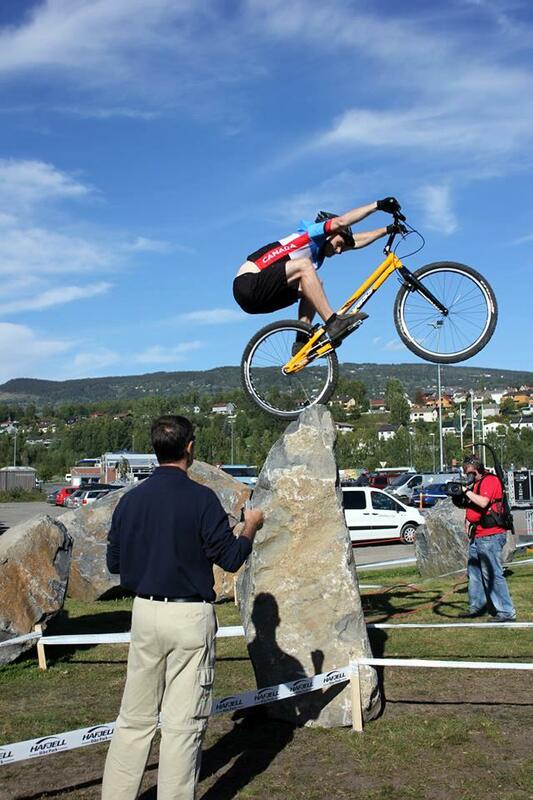 Yess is not very well-known in Trials but has been famous for years in BMX and other hard-hitting disciplines. We’ll find out more about it. 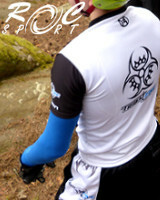 Jeff also tells us his story, and talks to us about his memorable trip to Europe, his UCI season and his impressions. His experience will have a sequel for sure because Jeff intends on being back on the UCI sections in 2015 to improve on his performance, despite all the difficulties that come with living about eight thousand kilometres away from an international, de facto European, circuit. Thanks Jeff & Dona Anderson for this pleasant interview and the photos that come along ! 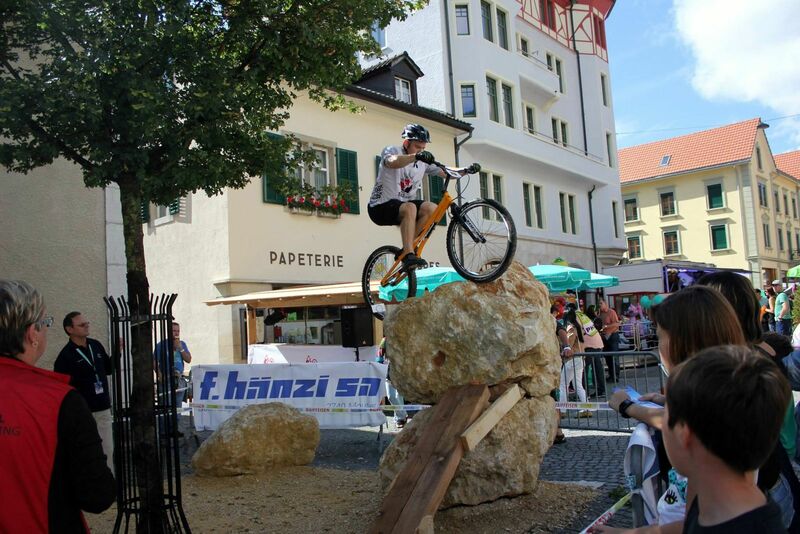 Find more infos and photos about Jeff and his 2014 UCI season on the Trials Stars blog et facebook page. Ok Jeff, first of all , can you tell us a bit more about you? Where do you live ? How old are you ? How long have you been riding Trials ? How did you get into Trials ? 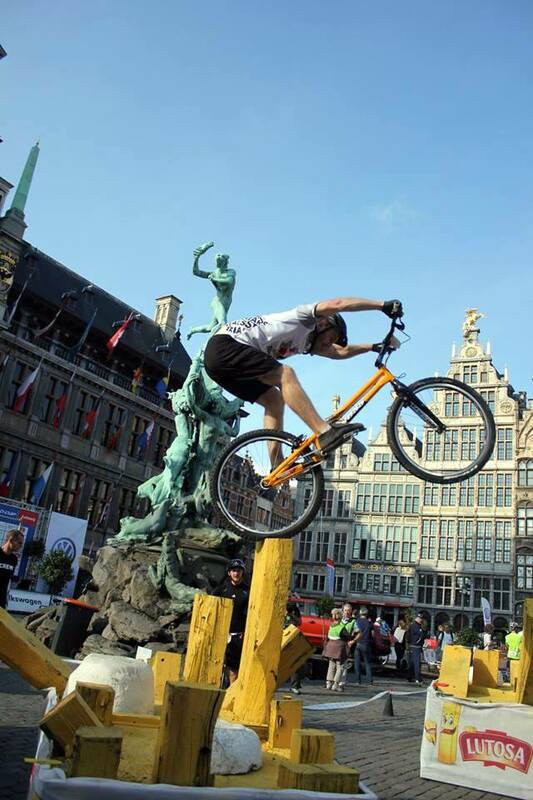 What do you like to do apart from riding your bike ? What is your job ? I live in Vancouver, I am 27 years old. I have been riding trials since I was 11, so 16 years now. 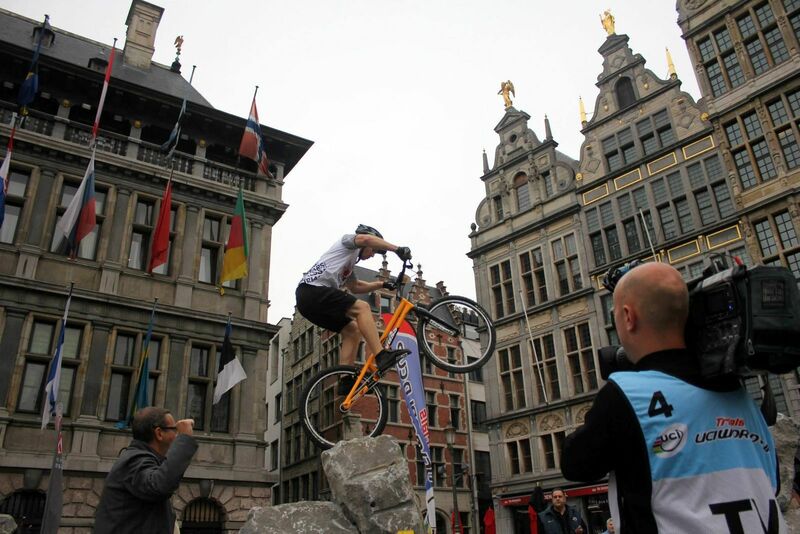 I started mountain biking in school, grade 6, Ryan Leech held an event for our school club, where he did some side hops over the bar and showed us the movie “Evolve”. I was hooked ever since. I bought the movie and watched it with friends hundreds of times. At the time I knew nothing about Trials but there happened to be a motorcycle trials park, CPTA, near my house where they held bicycle trials competitions as well. I rode a lot when I was young, there were many friends to ride with, we were never really serious about competitions or training, just riding for fun. I never new about UCI or BIU competitions until some of my friends went to the BIU World Champs in Japan. Fast forward a few years I was going to university and had some money from a summer Co-op I decided to go to Italy for the UCI World Champs in 2008. I did very poorly, so it was only then that I started to train harder, but even then I was always distracted with something, either work or school. I finished university and got a job as a engineer, in a company called Broadcom. I worked there for over two years. I was getting the itch again to go do some international competition. I hadn’t done any since 2010, when the World Championship were in Canada. I also proposed to the love of my life, Dona. We always talked about living in Spain for a few months and traveling through Europe to do the UCI World Cup. I told my job that I wanted to do this and they wanted me to stay. So they sent me to work in their Cambridge UK office and I was to take a smaller leave to travel and do the competitions. So everything came together. 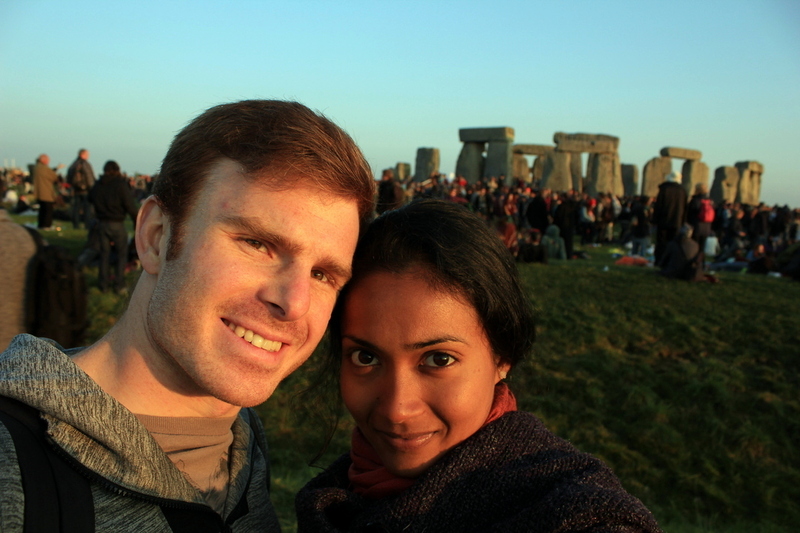 We got married at the end of April, 2014 and left for the Cambridge in May. I worked there and we traveled from there to ride and see the sights. While in Cambridge, my company decided to sell or close the business unit I was in. They couldn’t find a buyer and ended up closing the unit, so I was laid off along with 3000 other employees world wide. One door closed but another opened, We had more free time to travel and ride. Before we talk about competition : how was your trip in Europe ? Did you like it ? Yes, It was a trip of a life time. Not only did I get to go to some awesome trials events, It was also my extended honey moon. We bought a car in Cambridge and travelled throughout the United Kingdom, Through France to Barcelona, flew to Norway and drove from Barcelona through Switzerland, Germany and Belgium. As a Canadian, Europe is amazing travel destination. The scenery is so beautiful and you can feel the history everywhere you go. Where as in Canada it is just raw nature, which is nice too, but when you get use to it, it is not as thrilling. Competition now. As I said you finished 17th of the World cup and 16th of the Worlds. It’s a really good result especially when you have all the French, Spanish and German ahead. What do you think of your result ? Are you satisfied with it ? I feel my results were predictable. Satisfied, I don’t think anyone is satisfied unless they are in first and even then maybe not. What I mean by ’predictable’ is that Trials is a sport of abilities. Either you can or can’t make the move, either you do or don’t have the endurance or consistency. So when I think of my result I don’t really think about how many people are in front of me, I think of the moves that I didn’t make. You know, the part of the section that I dabbed, the log where I fived, the up that I didn’t make. That’s the result I think about. The sections were fun. In Vancouver, recently I’ve been the one who would organize our local competitions, so I would be the one to set most of the sections. It is a lot more fun to ride other peoples sections. 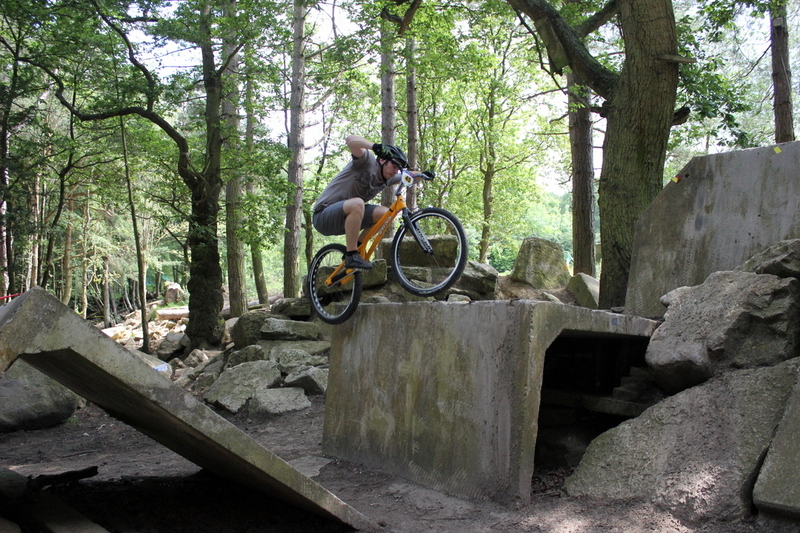 The level of riding felt really high at the beginning of the season, but I slowly got use to the sections. I only felt the sections were dangerous if it was wet. 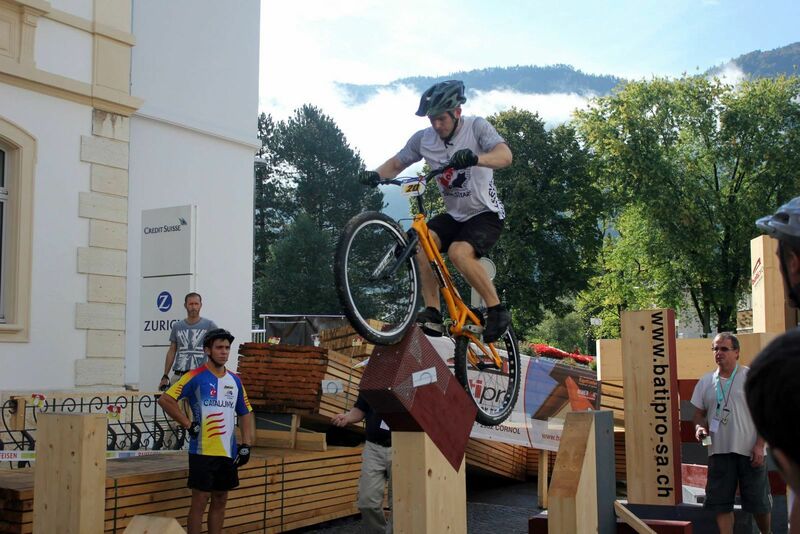 But Trials is a mentally dangerous sport, if you are not in the right zone you can hurt yourself. I wouldn’t say that this sport is anymore dangerous than any other sport as long as your not oblivious to your limits. How did you get ready for the 2014 season ? Did you have a specific training ? A specific diet ? Or were you just riding for fun ? I didn’t have much time to prepare for this season. I was playing ice hockey in the winter and separated my shoulder. So I didn’t ride much until we left for Europe. While in Europe I tried to ride every other day and went the gym 3 times a week and did some track/plyometrics work outs 3 times a week as well. This was while working full time. So the time spent was limited. As for diet, just eating well and eating a lot. Real food, I’m not into supplements, high protein, low sugar diet. I am always riding for fun. I enjoy the training part of riding, pushing yourself and getting better. Will you go back to Europe in 2015 for the upcoming season ? And do you have any goal for the next season ? I plan to go back next season if everything works out. As for goals: I would like to perform better. Clean more sections. 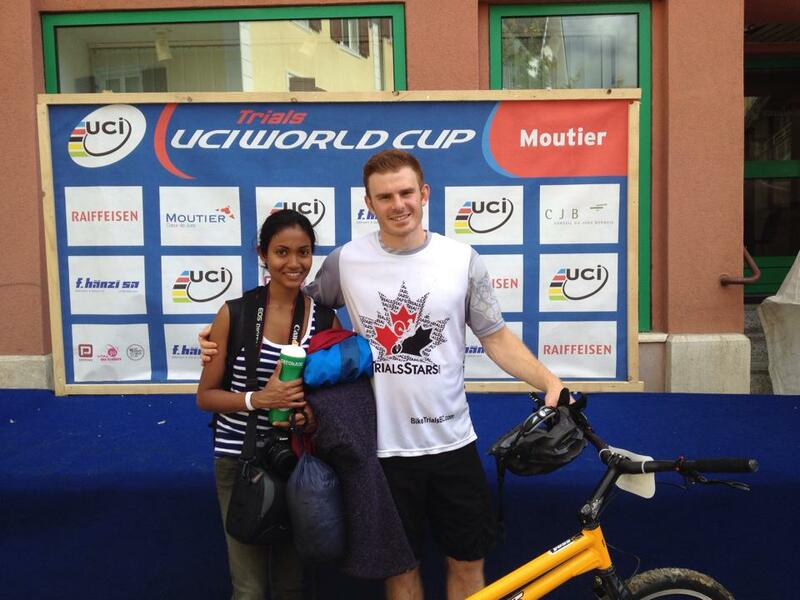 Do you get any help from the Canadian Cycling Federation or from your club to go to Europe ? 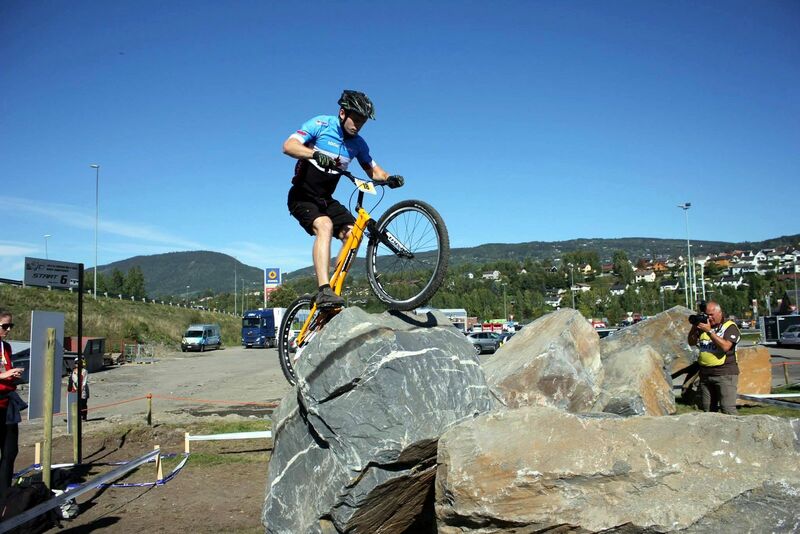 Currently there is limited help, Trials is still a small sport in Canada. Cycling federations goals reflect the interests of it citizens. 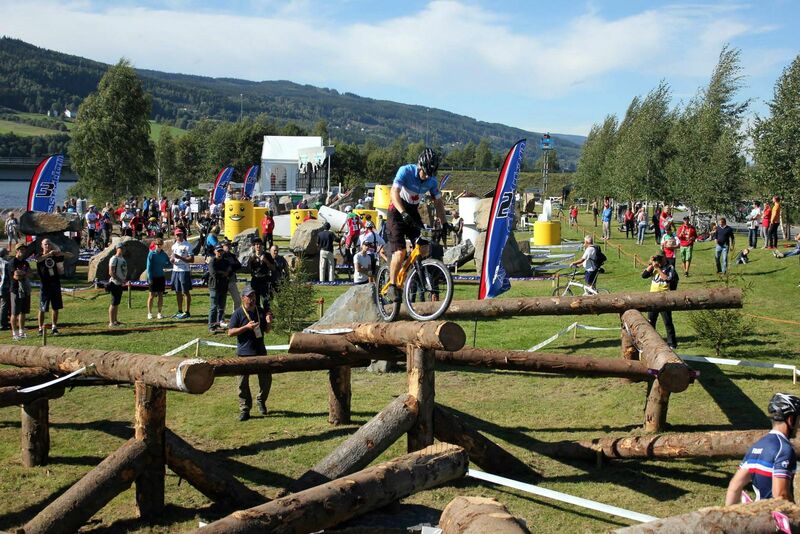 Canadian Trials scene is really good, Canada has some of the top riders in the world ; John Webster, James Barton and you. Or should I say Canada used to have the best riders in the world...We don’t see a lot of Canadian riders on the section (except you). Do you think that James and John have stopped riding World Cups because it was too expensive... ? It is really expensive for non-European riders to compete. For riders from North America to do all the UCI events it is upwards of 15 grand. And that doesn’t include costs for training and spending time riding instead of working. I can’t say for sure that cost is the main reason for John and James, but I’m sure it is a big factor. Trials is also a thankless sport. There aren’t very many incentives to try and be the best other than your own desire. Do you think it is possible to organize a World Cup here in North America ? If the right team got together, it would be possible to put one on for sure. But what would the turn out be from the European riders? These last three questions are of the same theme. They reflect the current state of competition Trials. I feel that there is a chicken and egg problem. The sport needs more funding to make it more visible to increase audiences. But funding will not come unless there is more audience or more interest from the masses. We as riders and organizers need to find unique cost effective ways to increase visibility and make this sport more main stream. Once that happens then there will be more prize money more sponsors for riders, more funding for organizers. There will be more incentive for everyone in the sport of Trials to commit more of their time to make this sport better. Now, let’s talk about your bike. Well, I think this is pretty cool to see something different, cause nowadays, we see a lot of copies released and it’s not very interesting... During your trip in Europe, you were riding a yellow frame and now back in Canada you are riding on a silver frame. Is this new frame upgraded ? 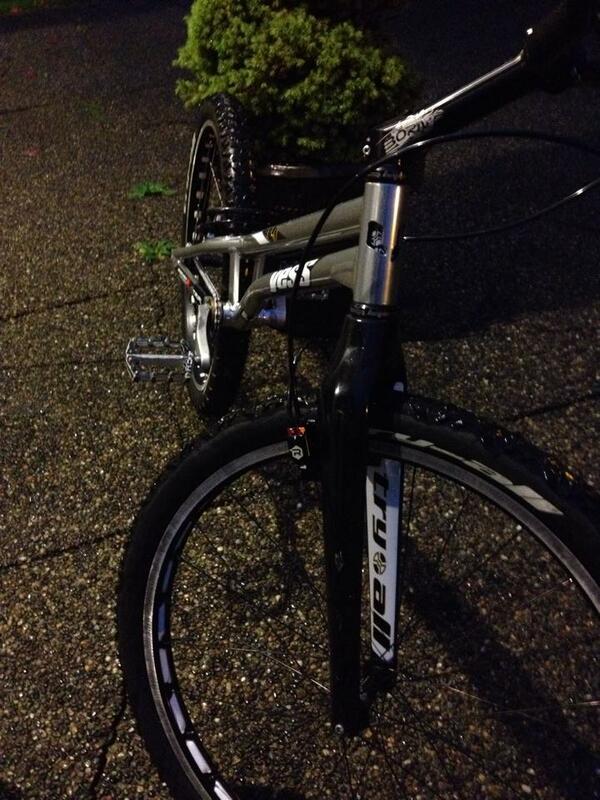 Can you tell us more about this manufacturer “Yess Bike Ltd? It is the same frame. I wanted to build up two bikes. One for training and one for competitions and demos. The yellow is Yess Bikes Team colour. So I am in the process of building up a new bike in with the “Team Yellow” colour for next season. Yess Bikes, as you said, have been manufacturing high quality hand made frames for years. They have been focusing on their BMX racing brand for that last few years. They would like to get into the trials market and I am working with them to make this happen. And that downtube...!? Was it and advantage when you were riding the sections ? 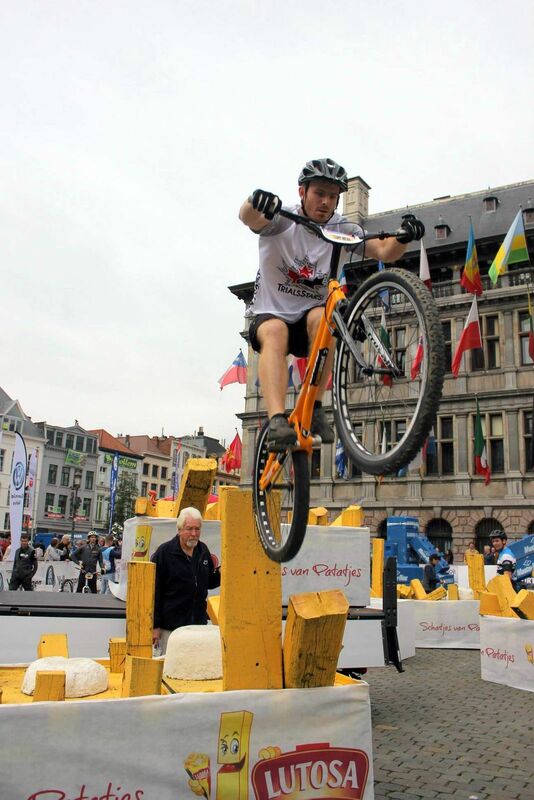 Definitely, I was never concerned about hitting the down tube on any obstacle. This was big a bonus with some of the tech rock sections. Is there a 20 inches version ? With double discs mounts ? Double HS33 mounts ? Currently, Yess only has the 26 inch version. We are trying to increase interest with this frame first, and then develop other versions in the future. Everything is done in house so Yess does not need to wait for China or Taiwan to get it made. 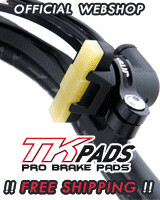 The “Team Yellow” frame is available at TartyBikes and WebCyclery. Will it be available on others websites soon ? What about the silver frame ? Yess is always looking for partners to sell their trials products. 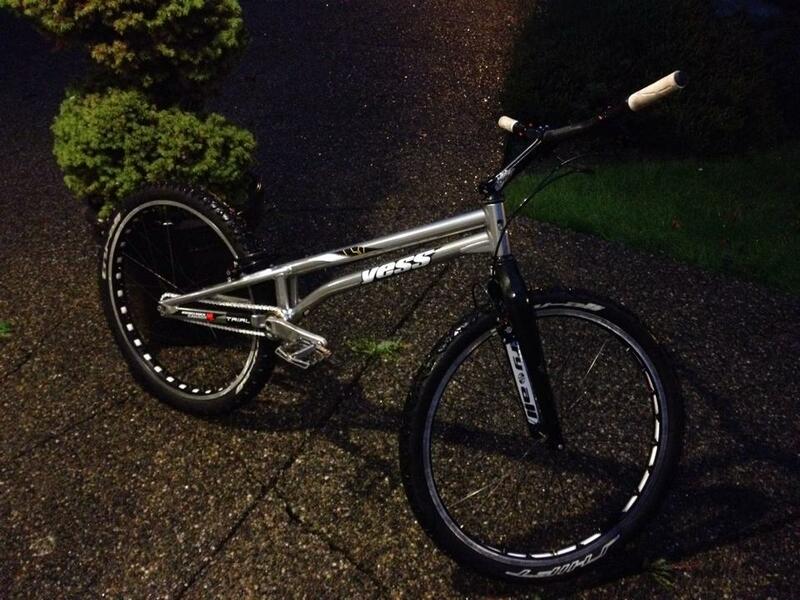 Sellers can inquire to me about selling the frame: Jeff@TrialsStars.com. The silver frame is avalable at WebCyclery. This frame is fully hand-made in Canada. It could seems like a strange question but does it feel different from riding any other bike ? Yess a strange question... well it feels solid and stiff. I’m not worried about it snapping in half. Apart from Yess Bikes Ltd, do you have other partners to support you ? Currently Yess is my only sponsor but I am always open to other partnerships. Apart from riding, do you have any other projects in your life for 2015 ? My plan is to focus solely on riding for the 2015 season. I have some projects in the works that relate to Trials and riding but we can talk about that another time! Well, Jeff, thank you for this interview, and again, congratulations for your results in 2014, congratulations to you and Dona, best wishes. Good luck for 2015, and we wish you a lot of success ! 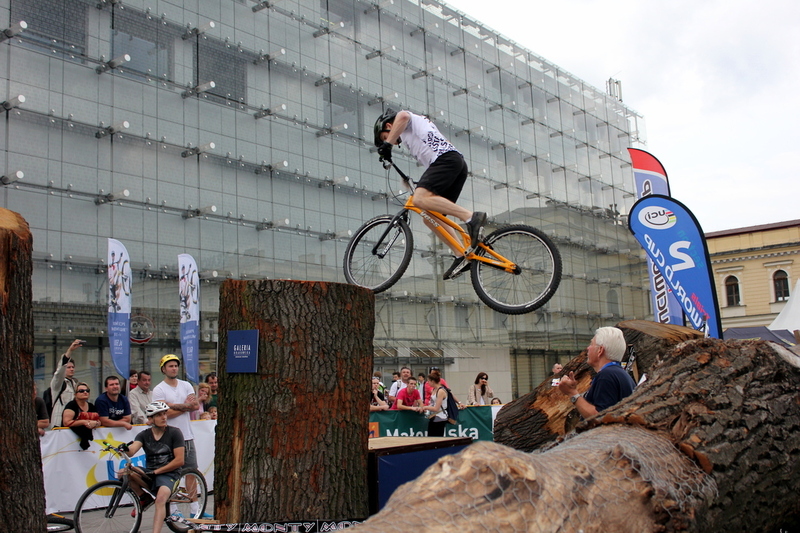 Roberto Timellini nous présente le Camin Trial Carbon 20"
Roberto Timellini nos presenta la Camin Trial Carbon 20"
One month ago, Tribalzine was at Buthiers, in a local competition to ride and to provide coverage of the event. We were surprised to discover a new 20’’ carbon bike, made in Italy by Camin, in association with Roberto Timellini. Who told us all about it ! 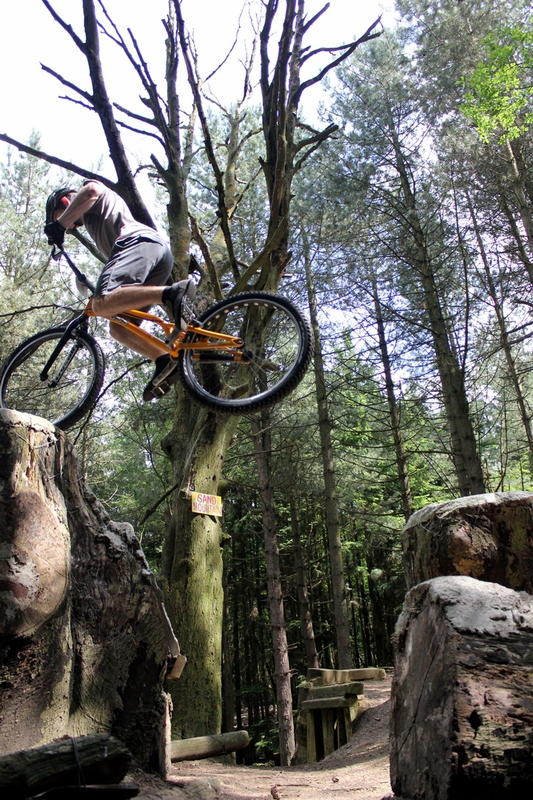 TribalZine interviews the Rider of the Year 2013: Jack « Clean Machine » Carthy! TribalZine entrevista al piloto del año 2013: Jack « Clean Machine » Carthy! Jitsie caught up with his rider Jack Carthy to talk about what he has been up to lately and look ahead to the second UCI World cup this weekend in Walbrzych, Poland ! Abel Mustieles: "I don’t like today’s trials"
Abel Mustieles: "No me gusta el trial actual"
An official statement from current World Cup Champion Abel Mustieles, following the controversial opening round of the UCI World Cup in Germany. 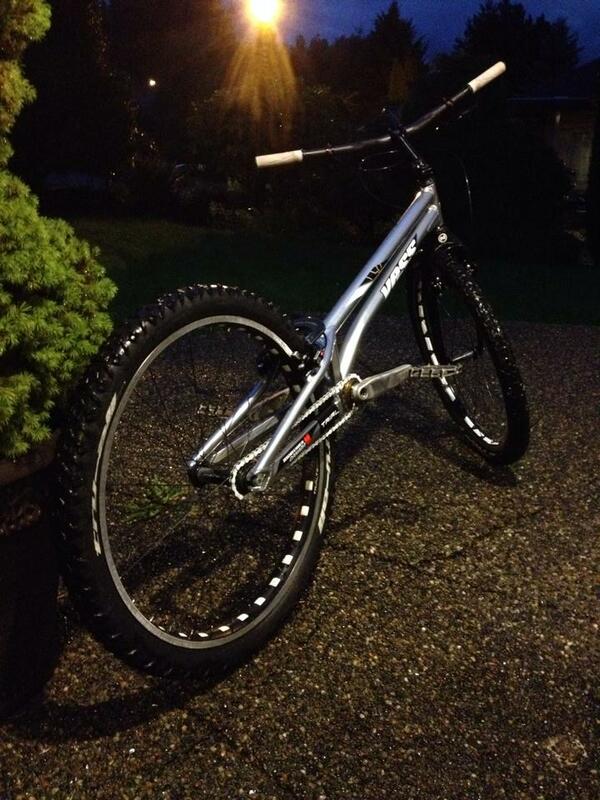 Kenny Belaey presented to us his new GT frame prototype a few days ago. We asked the Wingman 15 questions to know more about his bike, what has been going on, his projects... And we gave him 15 minutes to answer! We caught up with Jack the Ripper after his incredible season and talked about his results, his thoughts on the season, his plans for the coming year and trials in general... He still wants to kill him ! A frank and passionate interview with Benito "la Bestia" Ros, in which he talks about his season, his ninth world title, his relationship with Abel Mustieles, 2013 and much more! Supermance... "I’m going to have to wake up, fast!" Supermance... "Il va falloir se réveiller fissa"
Gold in Saalfelden escaped him. In Martigues, where he racked up another victory, the then leader of the World Cup Vincent Hermance spoke to us about the difficult second half of his season and his preparation and goals for the Geneva World Cup, 2013, etc. An interview with the World No. 2 in which he tells us all about his World Championship, his highlights, his problems and how he felt not to have won. Gilles Coustellier after Saafelden, "I still can’t believe it..."
Gilles Coustellier après Saafelden, "Je n’y crois toujours pas..."
At the 2012 worlds, Gilles Coustellier was, as he has been all season, completely untouchable, picking up yet another world title. He talks to us about the exploit, his impressions of the competition and the season. After taking his 10th title of Spanish Champion, Benito Ros gave us an interview in which he talked about the past, the present and the future of his trials career. Jack Carthy, "Beat Gilles while he’s still at his best"
After stirring up a storm at the World Cup, Jack Carthy talks to Tribal Zine about trials, his life, Aalter and his one, burning desire: to defeat the current World Champion! Le Phoenix se présente ! Phoenix is a new British clothing company, by riders for riders, who have already put together quite a team of riders, including Neil Tunnicliffe and Ben Rowlands! We had a chat with the man behind it all, Iain Johnstone. The big revelation of the pre-season... One of the main figures of the UCI 26" circuit and 26" World Cup winner Vincent Hermance has made the move to 20"! Here’s an exclusive interview with Supermance, the Koxx pro team’s free spirit! Neil Tunnicliffe, de ses débuts à Phoenix ! A look back over the career of one of the icons of street trials, Neil Tunnicliffe, from his beginnings in the sport to the present day and his new sponsorship with Phoenix.